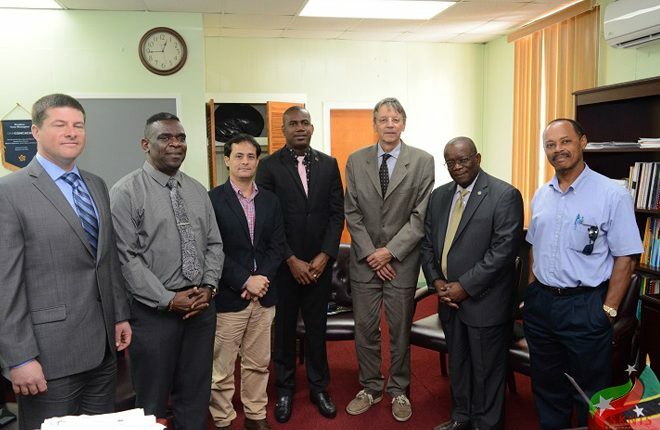 (SKNIS): Experts from the International Commission of Monuments and Sites (ICOMOS) have been commissioned by the St. Kitts National Commission for United Nations Educational, Scientific and Cultural Organization (UNESCO) to conduct an evaluation on the City of Charlestown to submit a bid for the inscription of the town as a UNESCO World Heritage Site. 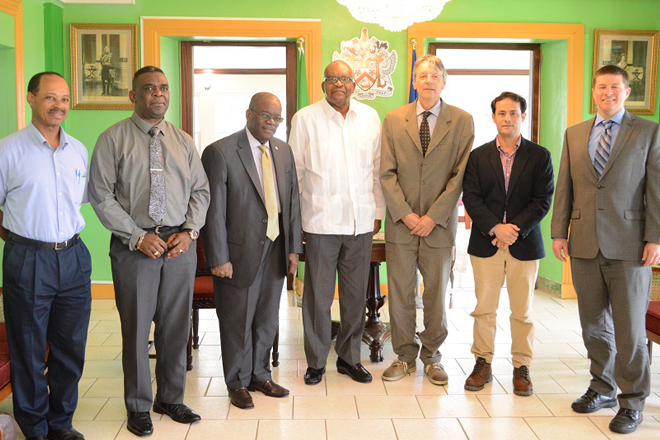 The ICOMOS Team visit to assess the historic sites started today (January 29, 2018), with courtesy calls to the Governor General, His Excellency Sir S.W. Tapley Seaton and Minister of Culture, the Honourable Shawn Richards. “I am very happy today because of my long association with history and heritage to be able to welcome you to Government House and to say that the work you are undertaking is extremely critical, and suddenly we are very happy to see progress,” said the Governor General, as he welcomed the ICOMOS delegates to the Federation and wished them success in their endeavor. Mr. Anthony Maynard, Secretary General for the St. Kitts and Nevis National Commission for UNESCO stated that the undertaking of the project to inscribe Charlestown, Nevis will not be an easy road. However, he is confident that with the help of the ICOMOS specialists, this undertaking would be a success. “This project is about sustainable development of small island developing states. It is about preservation, conservation and the promotion of the city of Charlestown as a world heritage site and a humongous cultural property. We are pleased to be undertaking this particular exercise and we look forward to working with you for the next two or three years,” he said. Minister Richards welcomed the delegates to the federation and assured the team that the project is very important to national culture and that they can count on the full support of the government. “The process is an important one and in whatever way I can give support to it, in whatever way the federal government can give support to the process, we will be doing so,” he said. The project team is comprised of Ms. Evelyn Henville, Official Representative on the UNESCO WH Committee for St. Kitts, Dr. Everson Hull, Ambassador for St. Kitts and Nevis to the OAS, Mr. Percival Hanley, General Manager for Brimstone Hill Fortress, Mr. Antonio Maynard, Secretary General for the SKN National Commission for UNESCO, and Christian Goodwillie, Curator and Director of Special Collections and Research at Hamilton College and Consultant to the Nevis World Heritage Committee. The Federation of St. Kitts and Nevis was elected on November 14, 2017, to serve on the UNESCO’s World Heritage Committee.